Under the Big Top Kids Gala was a sold-out circus themed evening for the whole family to enjoy with benefits going to the We Care for Kids House. 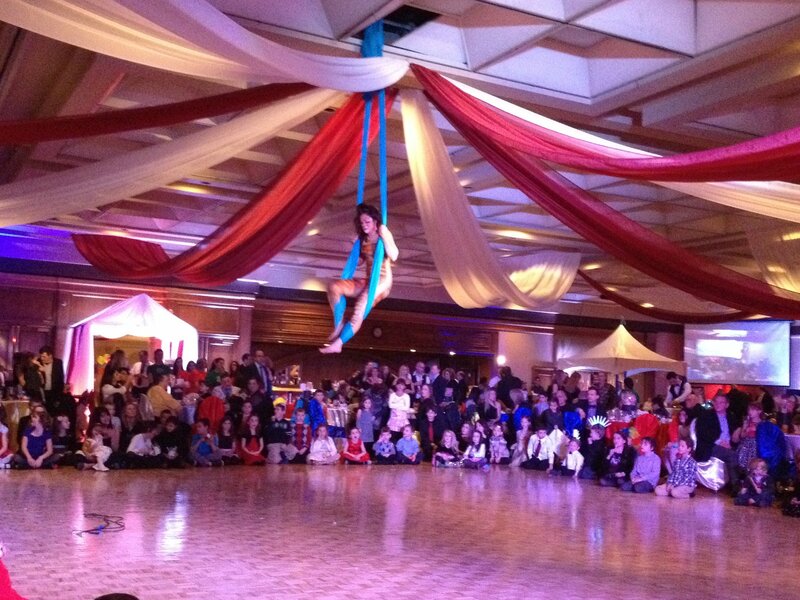 The event took place at Caboto Club and was filled with performers, clowns, magic, and tons of fun! Andrew designed the event shirts and sold his wonderful Group Hug Apparel with his proceeds also supporting this wonderful cause. Thank you to everyone that came out and had a blast along with Andrew. This entry was posted in Charities, Helping Sick Kids One Shirt At A Time. Bookmark the permalink.